United States Grand Prix: Who will finish top in Austin? 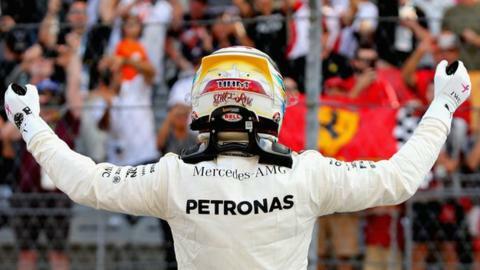 As the Formula 1 cavalcade pitches up in the Lone Star State, Lewis Hamilton will be hoping his 'golden patch' never ends. Hamilton took his 72nd career pole with a dominate display in practice and qualifying. Ferrari's Sebastian Vettel will line-up alongside him on the front of the grid after a strong performance on his final lap. For Hamilton to wrap up the title on Sunday, he needs to win in Austin and Vettel finish sixth or lower. It is a long shot, but the odds are in Hamilton's favour as he already has five wins at the Circuit of the Americas. So, make your top three predictions for the United States Grand Prix below. Who will finish in the top 3 at the United States Grand Prix?